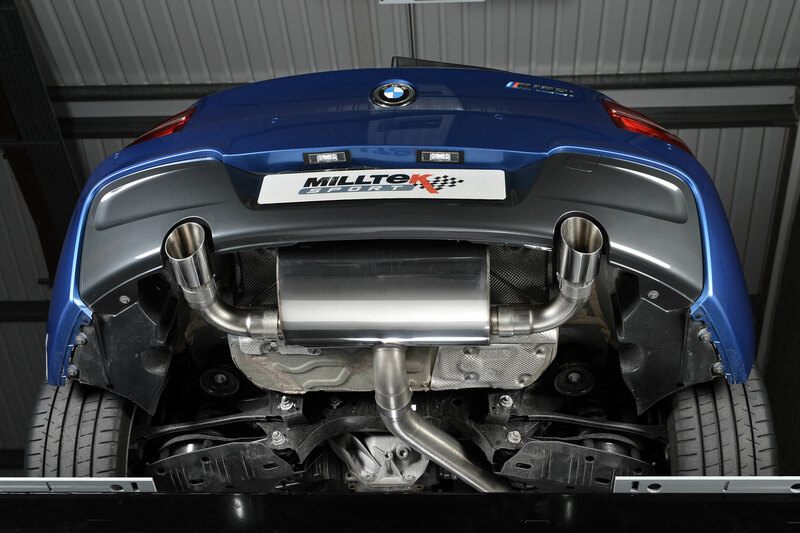 Respected exhaust manufacturer Milltek has released details of its exceptional new performance exhaust system for the new BMW M135i. 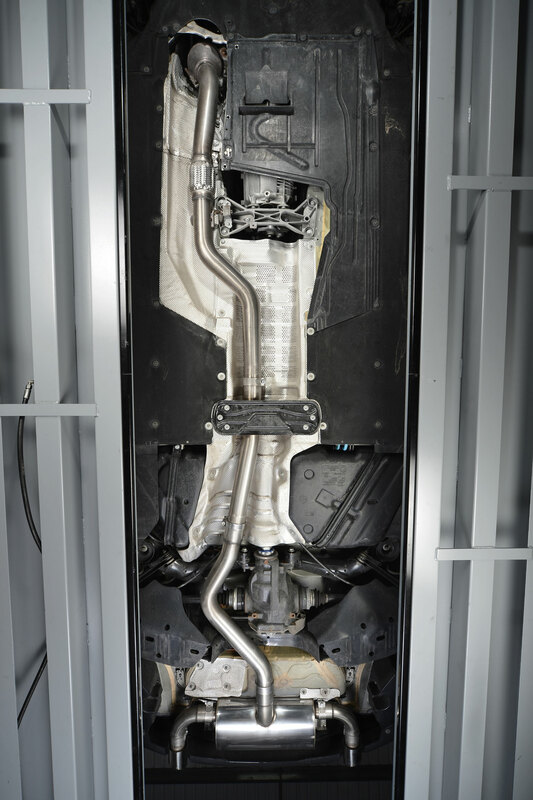 The latest F20 chassis car features BMW’s impressive twin scroll turbo engine and is the ideal recipient powerplant for Milltek’s class-leading extraction technology and craftsmanship. Many people have heralded the new 1-series as the spiritual successor to the original E30 series, in terms of its well-balanced RWD drivetrain and compact packaging. 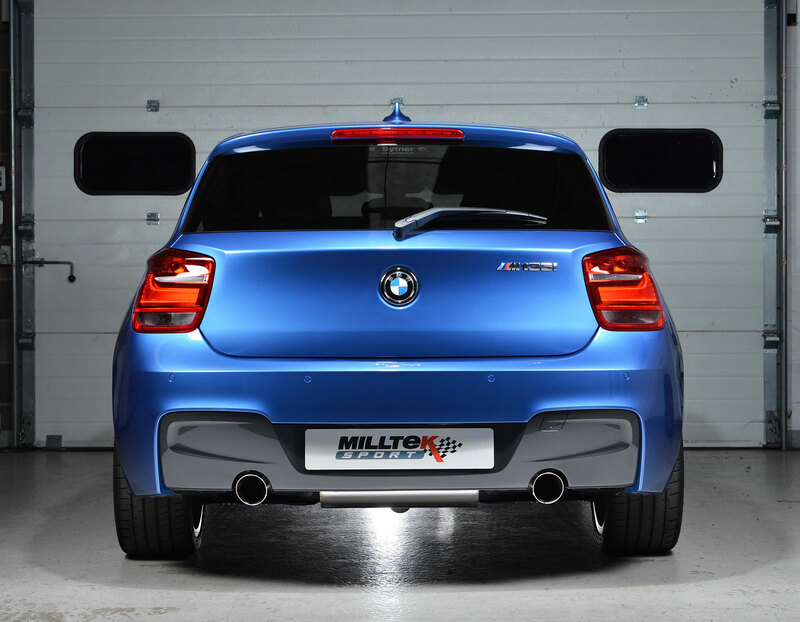 The new Milltek system picks up the baton from BMW’s engineers and endows the capable car with tangible gains in power, torque and sound quality! Initially, the system will be launched as a cat-back only set-up, with the additional option of a turbo-back system, complete with large bore downpipe and high-flow cat configurations. All terminate in a smart dual outlet, with options of polished or black GT-90 trims. There are two different cat-back systems on offer, Race, and EC-Approved. 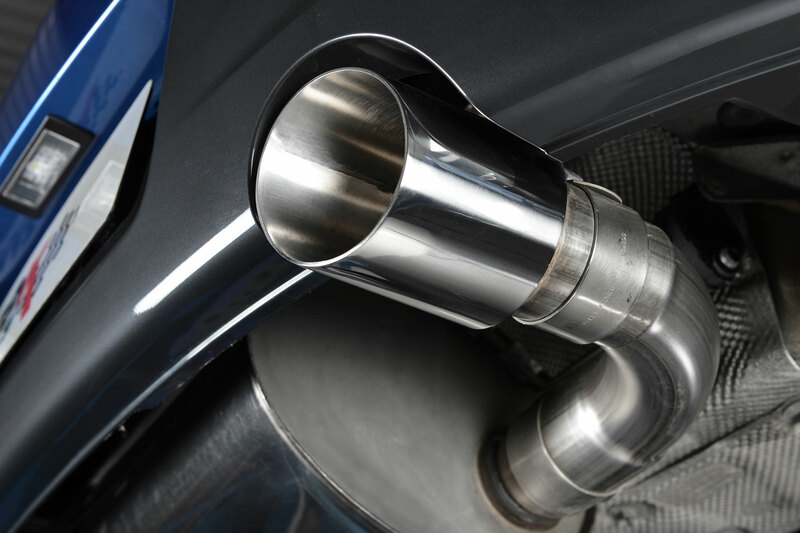 The Race option features minimal internals in the rear silencer for a sonorous exhaust note without droning – perfect for those who want to use their car on the road or on the race track. The EC-approved cat back system offers the perfect solution to those looking for insurance and warranty friendly tuning and still gives a richer and deeper tone to the sound. When designing the system, Milltek’s engineers took the unusual step of marginally reducing the OEM’s systems 80mm diameter down to 76mm. This was because the factory system is actually squashed in a number of places to allow clearance for underbody components, whereas the 76mm design can run unfettered from front to back, improving gas-speeds - and therefore performance – overall. As usual, Milltek has fabricated the entire system in its Ilkeston factory from the very highest 304 grade of non-magnetic stainless steel, ensuring a long and effective fitment. Sound quality is carefully tuned to give a powerful growl under heavy throttle loads, but factory-esque noise levels under cruising and town driving. The very best of both worlds! 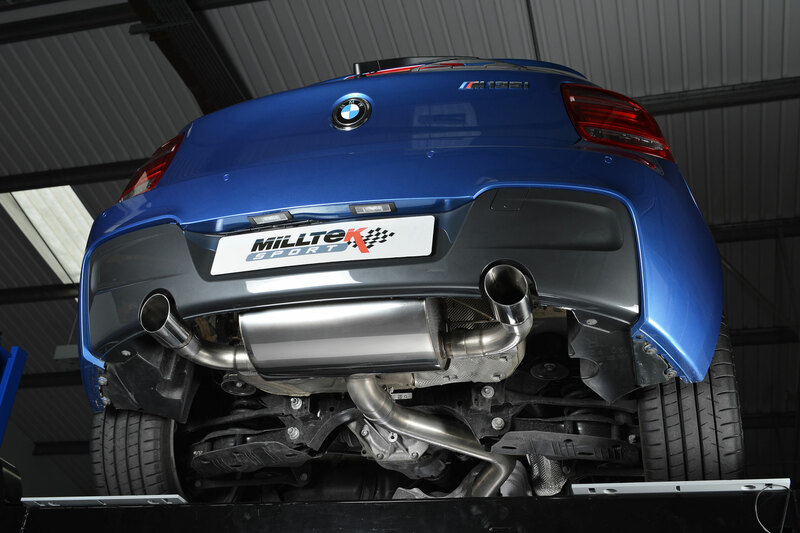 UPDATE: To further illustrate the performance credentials of Milltek's exhaust, Sedox Performance in Sunderland dyno tested the car with some very impressive findings. Firstly, the stock car, with no modifications, was measured at 322.2hp and 344 lb/ft. 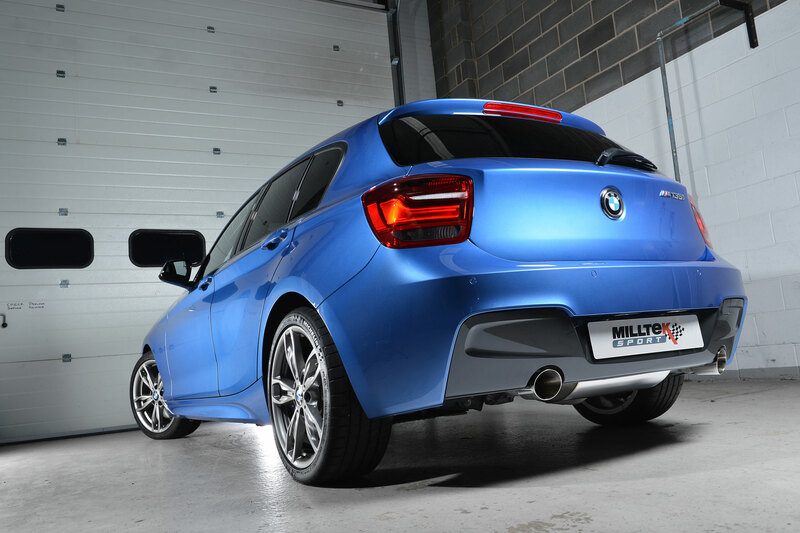 Sedox’s technicians then fitted the M 135i with Milltek's rear silencers and gave it a Stage 1 ECU remap and, as expected, the figures jumped to a beefy 355.2hp and 416 lb/ft. Finally, the standard downpipe and catalyst was removed and replaced with Milltek's 200CPSI hi-flow sports cat/downpipe combo and given a Stage 2 remap (necessary to ensure the car's ECU functions correctly with the higher-efficiency catalyst) and then put back on the dyno. After putting the BMW through its paces on the dyno the graph showed it was now outputting an astonishing 373hp with 446 lb/ft of torque. That's an increase of more than 50hp and 102 lb/ft. The benefits of all that extra torque can be felt straight off the line with much more poke available from lower-down in the rev-range and comes in much more immediately. The extra horsepower at the top-end allows the RPM needle to charge right up to, and even beyond, the red line without tailing-off from 6500rpm as on the standard car. All of this adds up to a much more satisfying and exhilarating driving experience whether you're just popping to the shops, cruising along the motorway or hammering around the Nürburgring.